Wife: "What do you want for dinners this week?" And so it goes, every weekend. Making the weekly grocery list is one of those tedious tasks that feels like an unavoidable mallet to the brain. 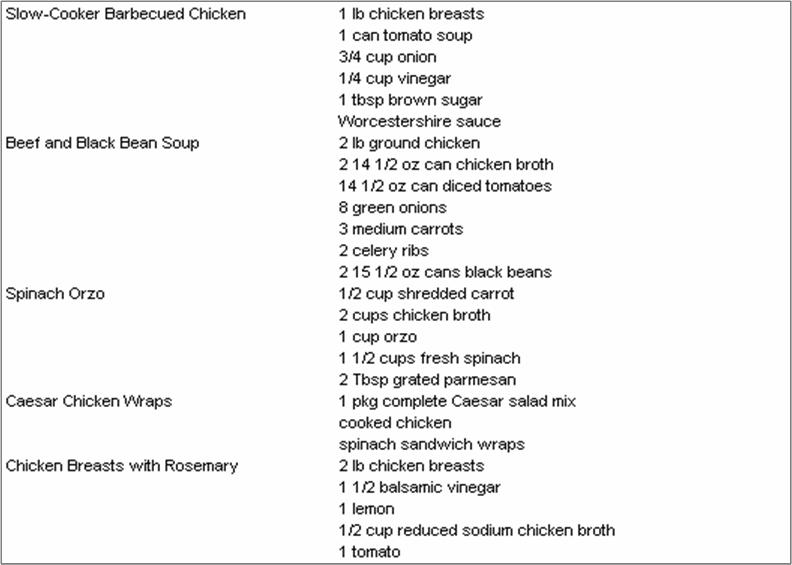 My friend Cathy decided to do something about it—she built an Excel tool that helps her pick dinners and automatically build a list of ingredients. This Recipe Manager is a fine feat of Excel engineering and she has been kind enough to let us share it with our readers. 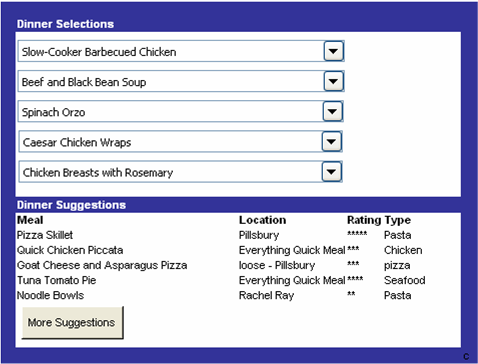 Step 2: Select from drop down lists of dinner options--one for each day of the week. The dinner suggestions area at the bottom randomly selects a set of recipes to provide some fresh ideas. 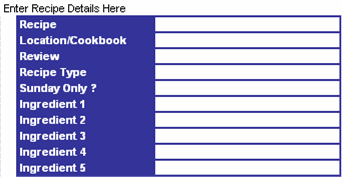 Download Cathy’s Recipe Manager here. It may just free up some quality time.